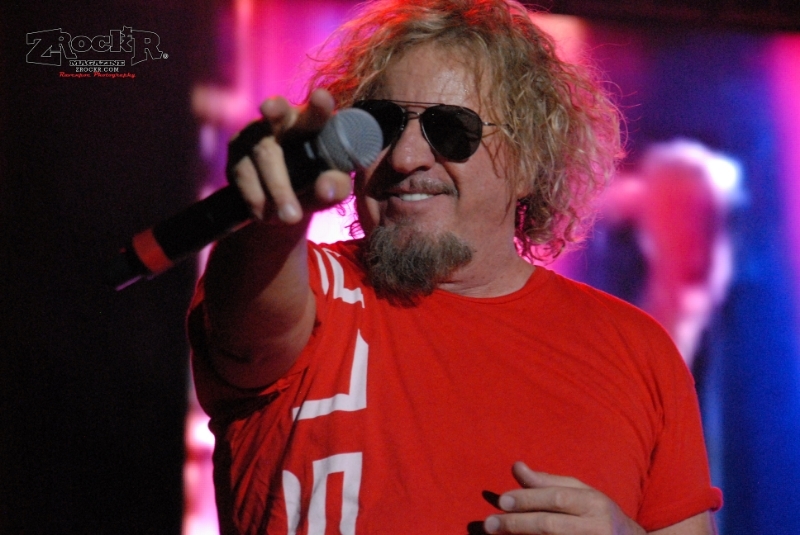 On Saturday, October 18, Sammy Hagar and Friends brought his annual Bash to Vegas this year. This was due to a pretty knarly hurricane that hit Cabo San Lucas in September. OK, with the Why's out of the way, we can get on to the good stuff, Sammy and Friends! First, lets start with the opening band, Kaleido, from Detroit. 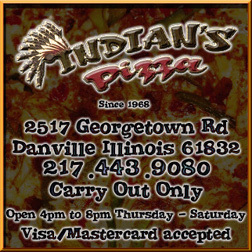 If you get a chance to see them, do not miss them, they are a tight rock band, and Christina Chriss on vocals channels a cross between Gwen Stefani and Joan Jett. Hope to see and hear more of them very soon! 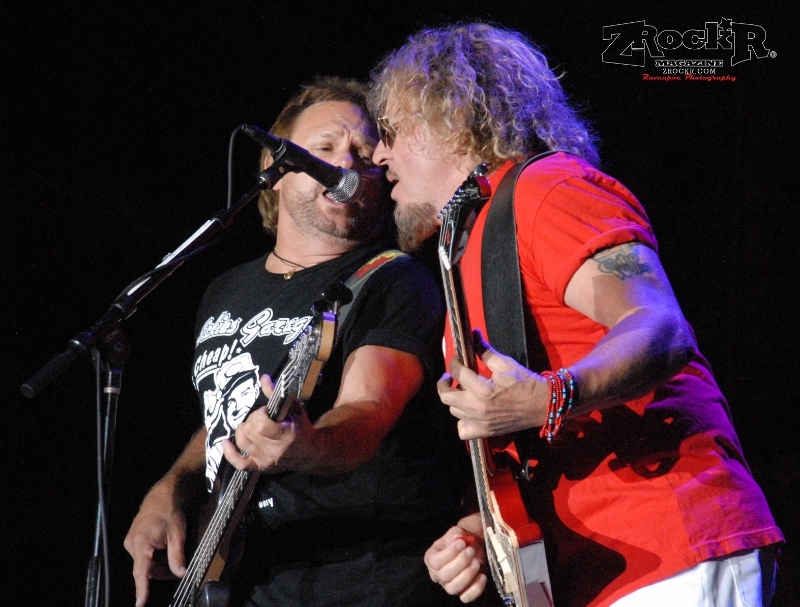 Sammy and the Circle's Sammy Hagar and Michael Anthony. Now it's time for Sammy and the Circle, which consists of Sammy, Michael Anthony, on bass, Vic Johnson on guitar, and Jason Bonham on drums. 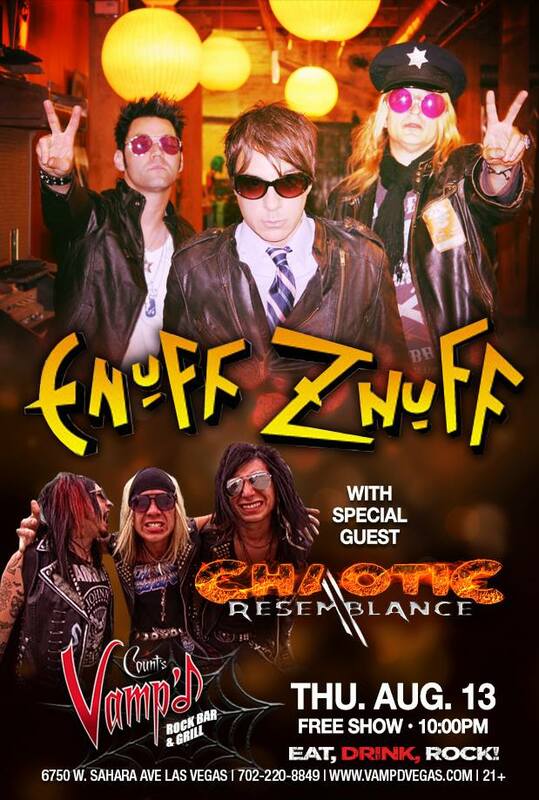 I have seen Sammy through the years, with various incarnations of his band, and i have to say this is the tightest and best sounding I have heard. Sammy and the Circle guitarist Vic Johnson. 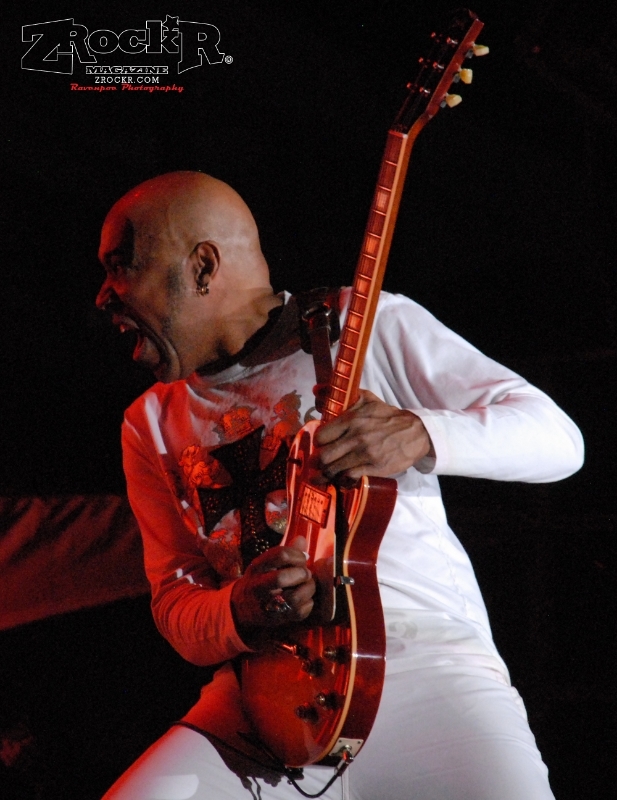 They tore through the set, they played Montrose classics, Sammy's pre-VH solo classics, his era with VH, and his post VH solo hits. 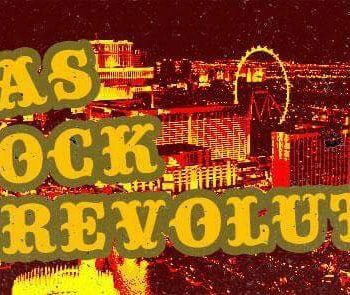 This was also mixed in with classics from Led Zeppelin with help on vocals from Chad Kroger from Nickelback. 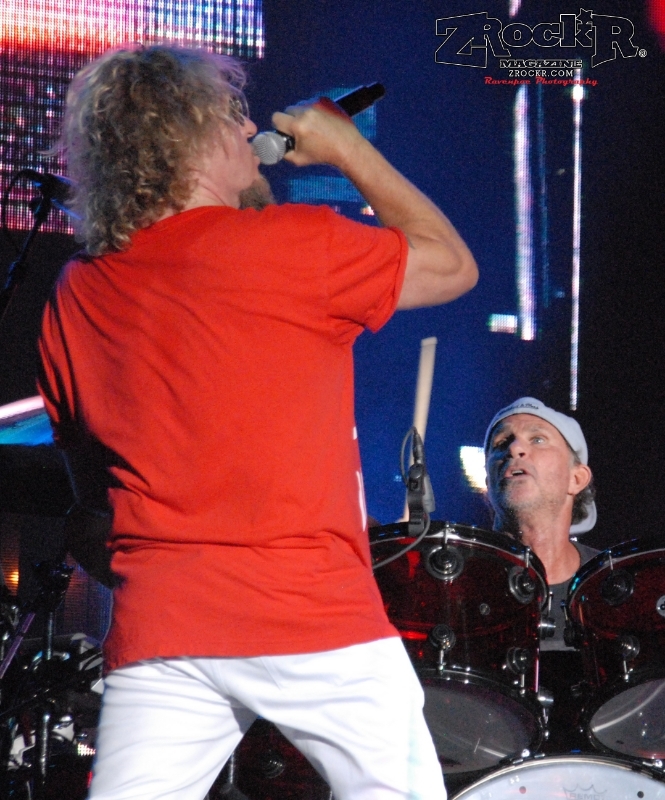 Sammy Hagar and Red Hot Chili Peppers' Chad Smith playing with Chickenfoot. Once they wrapped up the four decades plus of hits, Chickenfoot then took the stage. Sammy was flying high on his beach Bum rum, ready to play, with Michael Anthony on bass, Chad Smith of the Red Hot Chili Pepper on drums, and guitar god, Joe Satriani, who came out in all red, and a Sammy look-a-like wig. They played the biggest stuff from Chickenfoot with an amazing amount of excitement. They ended the night with the bands giving Sammy his cake on stage with his family in tow. 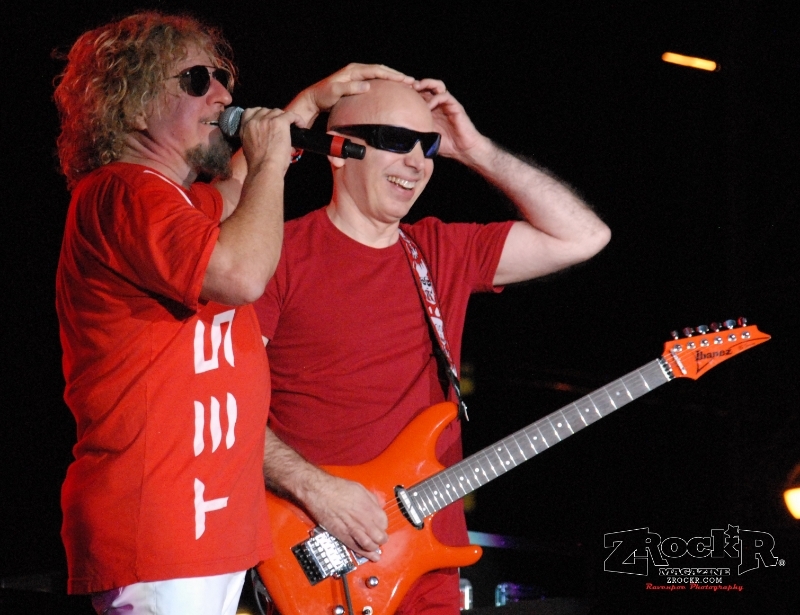 Guitar legend Joe Satriani and Sammy Hagar of Chickenfoot. All in all, I must say, after 40 plus years, the Red Rocker still has it, and looks to try and go for another 40 ! !